Without warning, the 2014 Ontario Budget introduced a stunning 148 per cent increase to the aviation fuel tax – from 2.7 cents to 6.7 cents per litre – to be phased in over four years. Unfortunately, this decision is counterproductive and seriously impairs the aviation industry’s ability to do what it does best – create jobs, stimulate trade and tourism, and generate revenue for the Ontario government. The 2014 Budget proposal is precisely the type of measure that harms consumers and middle-class families, makes Ontario a less attractive destination in which to invest and expand, and will exacerbate an already large competitiveness gap with U.S. border airports. The economic benefits of air transportation are significant. As part of a high value supply chain, the air travel sector is vital to the success of many other industries across Ontario. 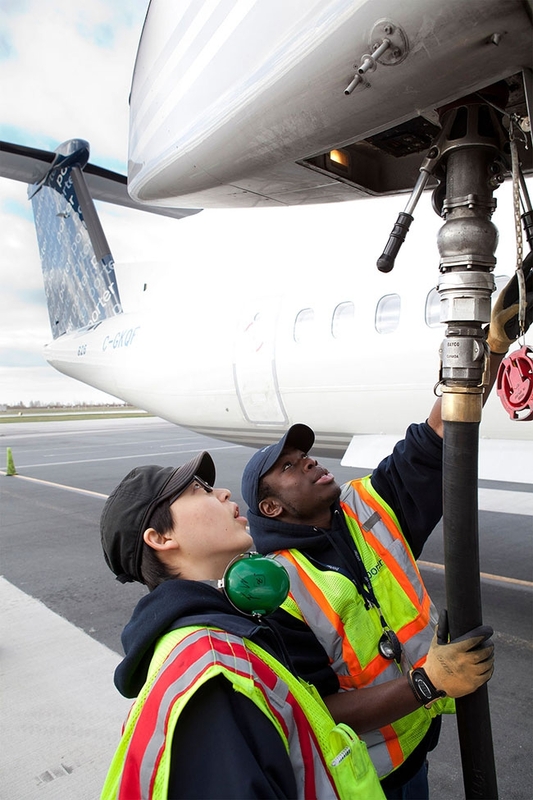 A recent study by the Conference Board of Canada found that aviation contributes nearly $35 billion to Canada’s GDP and supports more than 140,000 jobs across the country. The report also concludes that the aviation industry could garner even greater economic benefits with the proper policy support. Not only is the Government of Ontario’s decision to increase the aviation fuel tax by 148 per cent inconsistent with the interests of Ontarians as it will hinder job creation and economic growth, it denotes a complete lack of understanding of the aviation sector, fuel taxes and their compounding impact across the travel and tourism supply chain and the province’s overall competitiveness. Finance Minister Charles Sousa has argued that Ontario’s tax increase is a “modest change” with “minimal impact on consumers.” He couldn’t be more wrong. Three million Ontarians already choose to drive across the border to fly out of U.S. airports every year. Increasing the fuel tax will exacerbate this leakage of jobs and economy-stimulating spending to the U.S. It is no surprise that Buffalo and Niagara Falls airports see the tax as boosting business in the U.S.
A recent study by Dr. Fred Lazar of the Schulich School of Business at York University estimates that the 148 per cent fuel tax increase could result in a decrease of up to $97 million in GDP for the province. The tax increase could also mean a loss of more than 2,000 jobs and 400,000 air travellers in Ontario. By 2030, this could cost the province up to $1 billion in lost GDP. In London, Paris, Chicago, New York – and almost everywhere in the world – commercial air carriers pay zero tax on aviation fuel used for international flights. In fact, Ontario is one of the only jurisdictions in the world that still imposes a tax on fuel used for international flights. Not only is Ontario already uncompetitive with these international jurisdictions, it is also uncompetitive when compared to other provinces within Canada. International flights from Vancouver, Calgary and Montreal are not subject to a fuel tax. Even if we consider jet fuel taxes on domestic flights, at 6.7 cents per litre, Ontario’s tax would be more than double the rate of any other province. Public policy leaders and the aviation community have long been making the case for the Government of Ontario to eliminate the fuel tax on international flights to make the province more competitive. In 2012, as part of its Jobs Action Plan, the B.C. Government eliminated its aviation fuel tax for international flights in recognition of the value of the aviation industry as an economic engine and an enabler of trade, travel and tourism. Since then, B.C. has reported that 22 airlines have added flights to Vancouver, generating new jobs and economic activity. Further, the $12 million in revenue initially lost has been significantly superseded by an estimated $20 million in new payroll and consumption taxes in the first year alone. This is the type of forward-looking policy that Ontario needs to ensure its recovery. We continue to call on Premier Kathleen Wynne, Minister Sousa and the Government of Ontario to show vision and leadership in recognizing the value of the aviation industry as an economic engine for Ontario, a facilitator of growth for many areas of the economy and an enabler of travel and tourism. It is time to take a step back and conduct a full review of the adverse impacts of the aviation fuel tax increase. This would include meaningful consultations with Ontario municipalities, consumer organizations, chambers of commerce, airports and tourism operators. Taking a step back to get this policy right for Ontario is more important than ever.